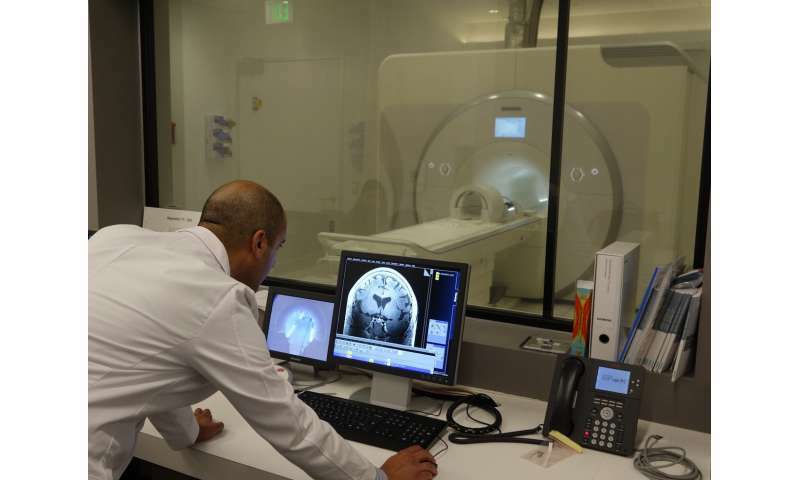 The ultra-high-field 7T Terra magnetic resonance imaging (MRI) scanner at the USC Mark and Mary Stevens Neuroimaging and Informatics Institute (INI) of the Keck School of Medicine of USC has received FDA approval for clinical use, opening up new avenues of care for patients with Alzheimer's disease, multiple sclerosis and other diseases that affect the brain. "This device, which has already made its mark as a powerful tool to advance research in the neurosciences, is now accessible to clinical populations in addition to researchers," said Arthur W. Toga, Ph.D., provost professor of ophthalmology, neurology, psychiatry and the behavioral sciences, radiology and engineering and the Ghada Irani Chair in Neuroscience at the Keck School and director of the USC Stevens INI. "Clinicians across the university and beyond can now leverage all the benefits of increased spatial resolution to serve patients in need." In a typical 1.5 Tesla scanner, each cubic unit of the image—each "voxel"—contains about 100,000 brain cells. At 7 Tesla, a voxel depicts just a few thousand cells, allowing scientists to study the brain with more precision and detail. "It's really a dramatic improvement," said Danny JJ Wang, Ph.D., director of imaging technology innovation at the INI and professor of neurology and radiology at the Keck School. "Ideally, we want to look at the smallest group of neurons possible so we can start to pinpoint what's happening at the cellular level."